The Myth of the "All-Natural Buck"
Think about an agricultural bean field for instance. In the spring there is almost zero forage available. By mid-summer there is abundant green leafy forage, and by mid-October there are millions of bean pods for the taking, until harvest that is. Then the available pod count goes from millions back to almost nothing due to the efficiency of modern farm machinery. 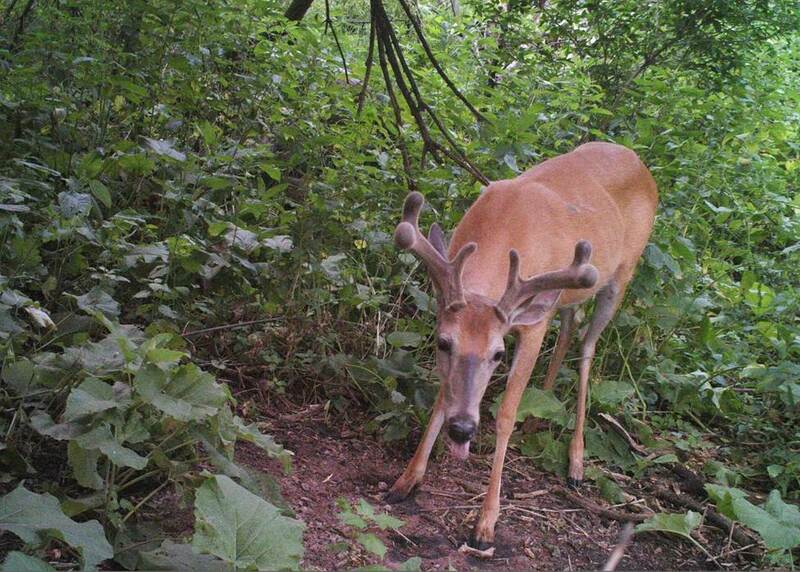 The deer that live in Ag landscapes must be getting enough because they grow some monster bucks in Iowa, Illinois, Minnesota, Ohio, etc… but what if they weren’t? What if they could be bigger? What if those big mature bucks had all the minerals they need? Then you could really see some truly world class antler growth! Through internal research, we have yet to find a buck that “has it all” in terms of circulating mineral levels. Most companies talk a lot about calcium and phosphorous as being important for antler growth mainly because if you grind up an antler, those are the two most prevalent minerals. We found that deer were not deficient in calcium or phosphorus. They could get enough of those from what they were eating. Obviously calcium and phosphorous are important, but what is more important are the micro minerals that we found to be deficient in the diet of free-ranging white-tailed deer. Those were Zinc, Copper, Manganese, and Selenium. After you fill the limiting factors, you see some significant increases in antler growth. Look at the deer that Mark Drury has killed on his Iowa farm the last 2 years. He has hunted that same farm for 25 years and never shot a 200” buck. Then he started using Ani-Logics™ and now within the last 2 years he has killed 2 bucks over 200 inches! These bucks were not “all-natural” but that’s fine with Mark. He knows that if deer do not get everything they need for antler growth from natural forage, it is perfectly normal to supplement the diet. It goes to show that when you put the proper science into a supplement product, the results speak for themselves.